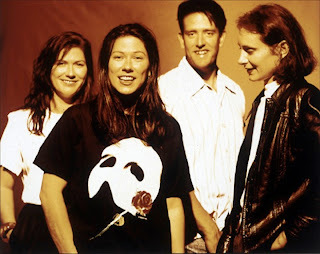 This year, Kim and Kelley Deal's band the Breeders are celebrating the 20th anniversary of their landmark record Last Splash with a deluxe reissue, out in April via 4AD. They're also reuniting the 1992-1994 lineup (with Josephine Wiggs and Jim Macpherson) for a tour, on which they'll play the album in its entirety. Along with a string of previously announced European dates, including a slot at the Deerhunter-curated ATP fest, the band has now announced a North American tour and more UK dates. Carrie Bradley, who played violin on Last Splash, will also join the band for the tour. After the dates, watch the Kim Gordon- and Spike Jonze-directed video for "Cannonball".